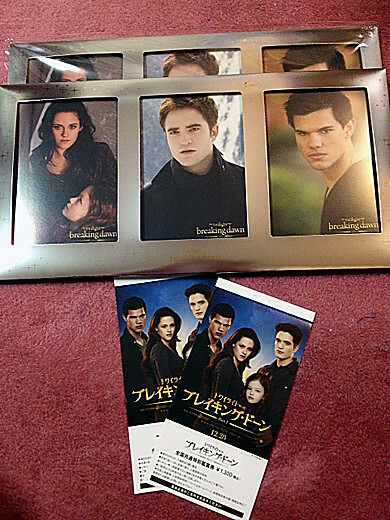 These are the advance tickets for The Twilight Saga Breaking Dawn Part 2 “another version”. Framed postcards are the free gift of the advance ticket. Hell yeah! Bella is new and improved as a vampire.